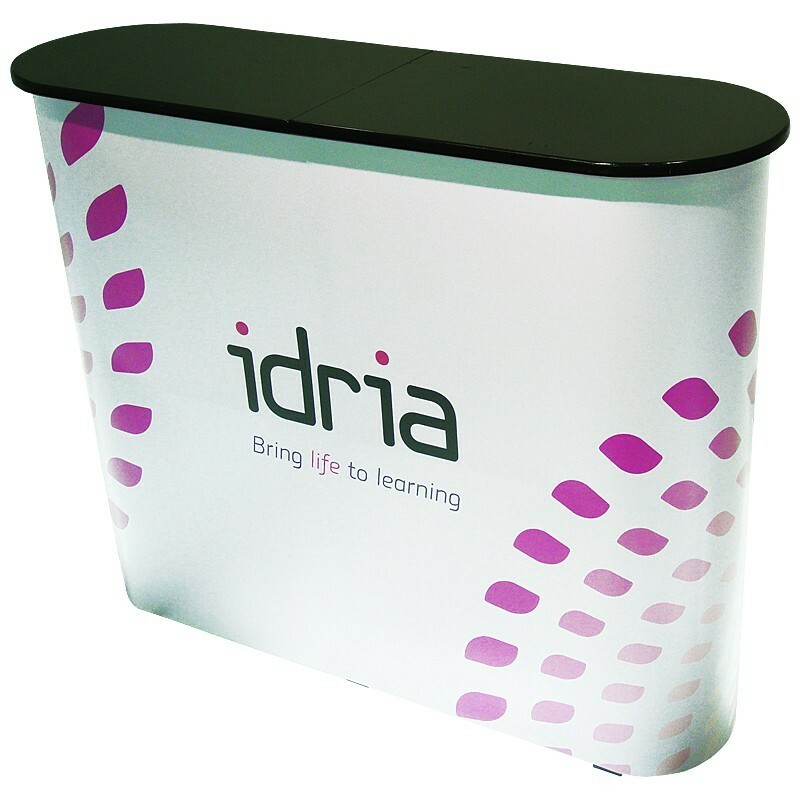 The straight-faced pop up promotional counter table is ideal for any trade show, traveling exhibit, or in-store display. Use these promotional counters to distribute samples, demonstrate products, or hand out literature. They come with custom printed full color high resolution wrap-around graphics around the whole counter. This creates a full color graphic display that is great for drawing attention at marketing events. Our promotional tables are made out of a lightweight and durable metal pop up frame with metal rod attachments and assemble in minutes without any tools. The aluminum frame gives the promotional counters support and makes them more stable than standard plastic counters. The top of the counter is made of a very high quality composite plastic material made to look like a granite countertop for a great professional appeal. This particular promotional table features a straight face front panel instead of the curved face front, which is also available. The counter measures about 3ft wide x 3.5ft high.